Cole and I are working on letters this week. 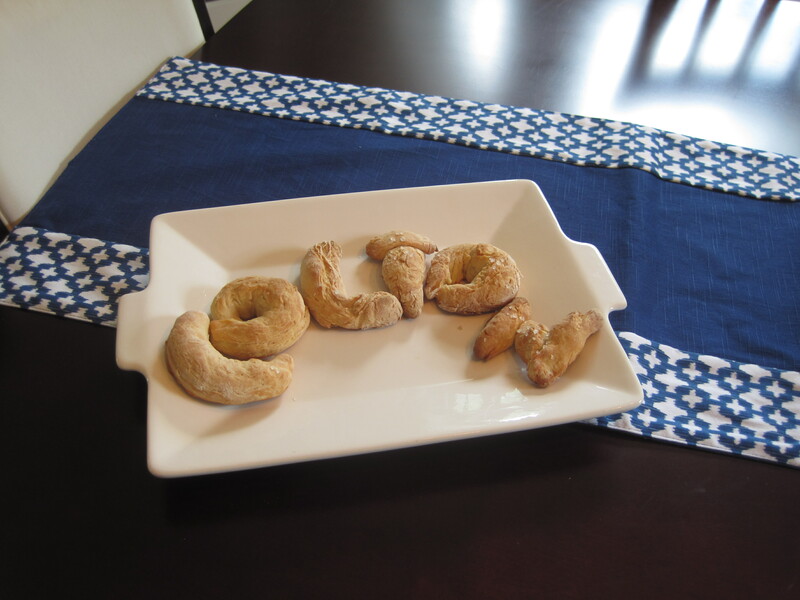 So while it rained outside, we made pretzels inside . . .
Cole in his new apron that was handmade by Aunt Coco. What a fun project! Such a cutie pie (pretzel!) Cole is! LOL…..♥Loved♥ the video of you two making pretzels, Liza! What a hoot!!!! 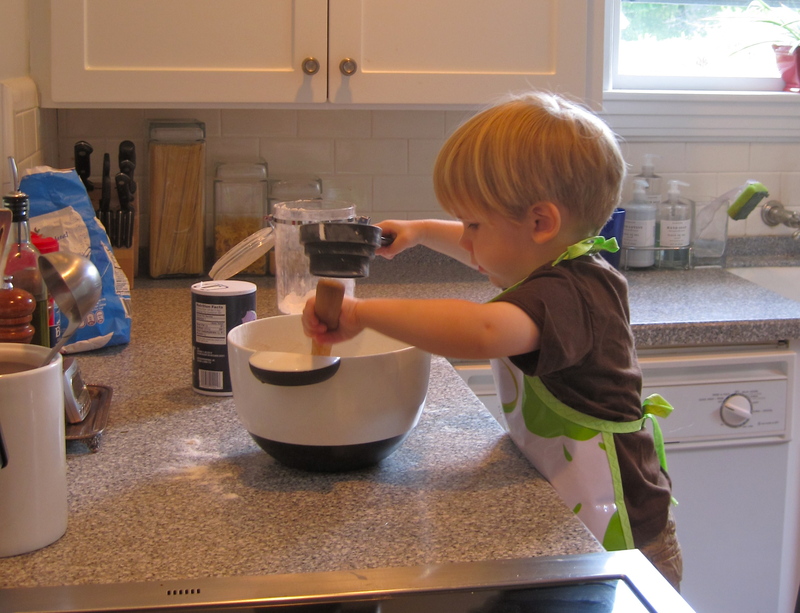 Cole is gonna be a great jack of all trades when he gets older….I can see him as a chef, already! Heehee….and apparently the chef likes his cooking, too! What a great idea, too, for alphabet week! Thanks for this post…..it makes me smile and laugh….what a great time you two must have had! And how cool that you will be able to go back and watch this with him again later on and remember the wonderful memory!!!! Be blessed!!! I love it! What a great idea! !